The senseless and tragic death of 17-year-old Trayvon Martin sent communities across the country into a frenzy, but no one felt the pain, anger and determination to seek justice more than his parents, Sybrina Fulton and Tracy Martin. Rest in Power: The Trayvon Martin Story is a Paramount Network original documentary series co-produced by Trayvon’s parents and Shawn Carter that delves deeper into the circumstances surrounding his murder, as told by those closest to the story that has gripped at the hearts of the nation since 2012. Through an unfiltered lens, new information is revealed and existing information is clarified about what happened the day self-proclaimed neighborhood watchdog, George Zimmerman, took Trayvon’s life, the birth of the Black Lives Matter movement as a result of his death, and his family’s ongoing pursuit of criminal justice reform in honor of his memory. Following a screening of the first of the six-part docuseries at the 2018 ESSENCE Festival, Sybrina Fulton and Tracy Martin joined co-director and executive producer Julie Willoughby Nason, co-director and executive producer Jenner Furst, executive producer Chaci Senior, executive producer Mike Gasparro and ESSENCE Senior Lifestyle & Relationships Editor, Charli Penn, for a candid Q&A session. Speaking on which parts of the docuseries were the most difficult to film, Sybrina shared that the pain of losing her son is still very present. While noting that her life changed forever on the day Trayvon was murdered, she also expressed gratitude for the compassion and understanding of the production crew when she wasn’t up for the task of reliving the story on camera. Trayvon’s father, Tracy, struggled most with rehashing memories of having to confirm his son’s identity by looking at the crime scene photo of his lifeless body and hearing Trayvon’s screams during the last moments of his life replayed while filming the series. 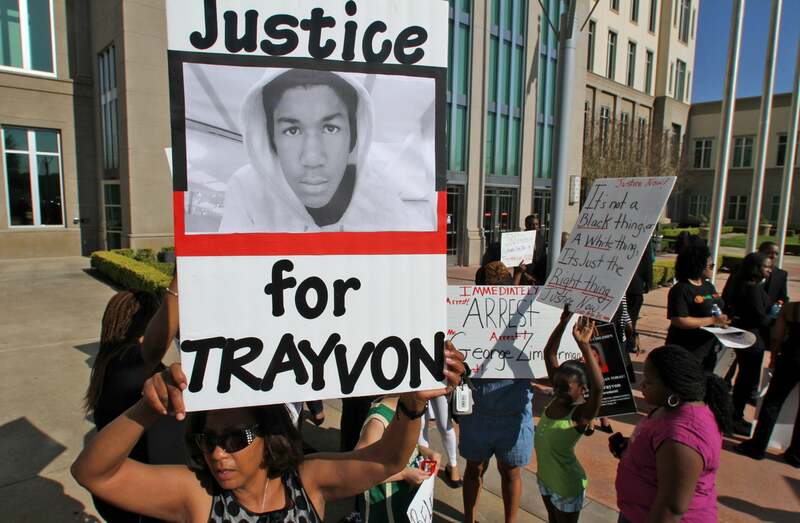 During the court proceedings, George Zimmerman’s legal team had argued that the screams belonged to Zimmerman instead. Co-director Jenner Furst weighed in on the importance of being able to share new elements of Trayvon’s story with viewers. Examples of never-before-seen footage incorporated into the series include a clip of Trayvon inside the convenient store purchasing the iced tea and skittles that Zimmerman claimed to have mistaken for a gun and extended recordings of the 9-1-1 calls made by witnesses on the day of the shooting. One important responsibility for the series’ directors and producers was to clearly communicate that Trayvon’s death, while undoubtedly a catalyst for the Black Lives Matter movement, was not an uncommon occurrence for Black communities. In episode 1, we hear Sybrina comment that all but 71 seconds of what happened on the night of Trayvon’s murder was accounted for, adding that it was those crucial 71 seconds that changed her life and changed America forever. Despite all that came with grieving her son’s death publicly for the sake of justice, the extraordinarily fearless mother says she wouldn’t change her decision if given the chance. She also spoke briefly about her ongoing healing process. Wrapping up the difficult but much-needed discussion, Sybrina challenged the audience to put actions behind their words in the fight for justice. Rest In Power: The Trayvon Martin Story premieres Monday, July 30th at 10/9c on the new Paramount Network and BET.